Victoria Costa has taught chemistry, biology, physics, mathematics, and education at the secondary, community college, and university levels. 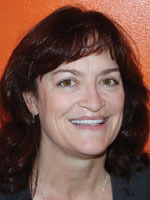 She is the director of science education at California State University, Fullerton. Her research focuses on recruitment, development, and support of secondary science teachers and the preparation of all teachers to support 21st-century learning in technology-rich environments. She has been the principal investigator for two million dollars of grants to support math and science education, including the Professional Development Resources Online for Mathematics (PD-ROM) and the Math and Science Teachers Project (MAST). She has published in highly respected journals, including Journal of Curriculum Studies, Journal of College Science Teaching, Science Education, International Journal of Science Education, and Journal of Research in Science Teaching.